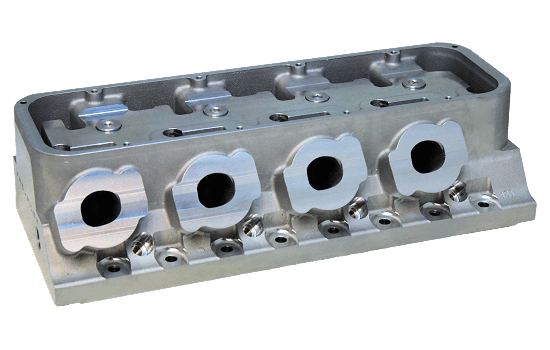 The Air Strike SBC 12° Spread Port Head offers massive flow "as cast" without porting. Symmetrical ports, splayed valves and a stable rocker bar platform offer and exceptional platform for a state of the art Small Block Chevy! 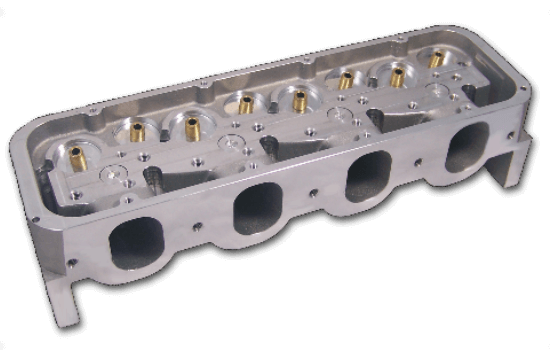 The Air Strike X Cylinder Heads offer unfinished chambers, intake and exhaust ports for professional head porters to work their magic with!